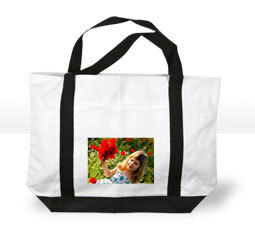 Personalize this classic tote bag! Photo measures approx. 5" x 7"